Can delay block patent enforcement? When you're dead, you're dead, right? Not if your genes have anything to say about it. A team of microbiologists from the University of Washington studied gene activity in recently dead mice and fish. They found that the activity of over 1000 genes increases after death with the activity of some genes increasing as much as 24 and 48 hours after death. The genes with increased activity related to stress, inflammation and development, among others. So after you die, you're likely to be anxious, itchy and grow new limbs. Zombie literature has it all wrong. 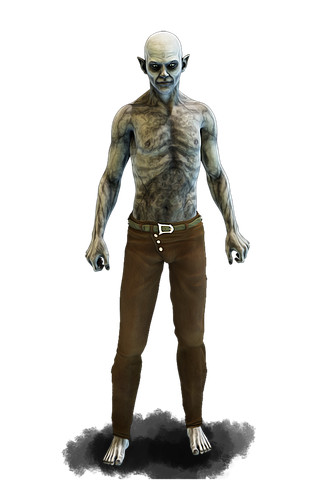 What do zombie genes have to do with intellectual property law? Not a thing. Happy Halloween! With the election just about a week away, can you tell me which major candidate for President would be the best choice for creators and owners of patents, trademarks, trade secrets, and copyrights? As a nonprofit (at least, not intentionally so...) the "Doc" is prohibited from endorsing any particular candidate for office. However, as a public service, the Doc has run a search using Google to ferret out the relevant policy statements on the candidates' websites, here presented for your perusal, consideration, and enjoyment. The search string the "Doc" used is, "patent OR trademark OR copyright OR intellectual OR property" and each campaign website was reviewed for these terms. "Improve the Patent System to Reward Innovators: Hillary will enact targeted reforms to the patent system to reduce excessive patent litigation and strengthen the capacity of the Patent and Trademark Office, so that we continue to reward innovators. Effective Copyright Policy: The federal government should modernize the copyright system through reforms that facilitate access to out-of-print and orphan works, while protecting the innovation incentives in the system. It should also promote open-licensing arrangements for copyrighted material supported by federal grant funding." "The purpose of government regulation is to protect citizens from bad actors and the harm they might do to health, safety, and property." Click here. The "Doc" has seen television interviews where Governor Johnson advocated immediate and complete elimination of the Department of Commerce (which operates the Patent and Trademark Office), and when asked what that department does, Johnson could not name any of its functions. "Use every lawful presidential power to remedy trade disputes if China does not stop its illegal activities, including its theft of American trade secrets..."
So there you have it. The "Doc" plans to vote early, keep it civil, hopes that his candidate of choice prevails, and that the others concede graciously in the interest of our nation and its traditions of democracy. Above all, the "Doc" knows that our long national nightmare will soon be at an end, and we will then be able to get back to our obsession with the Kardashians...oh, wait...never mind. Have some intellectual property that needs protecting? Need some advice about using someone else's IP? The lawyers at LW&H are strangely interested in such things, and they're good at it, too. Give them a shout. The Buck Rogers comic strip and its many spin-off novellas, films, television series, and toys introduced Americans to the dream and adventure of space travel. 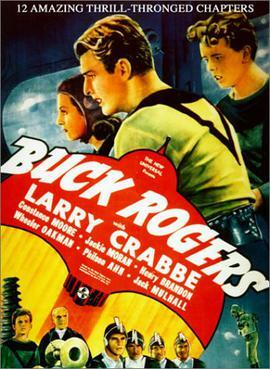 Legal conflicts over possession of the rights to Buck Rogers have been more mundane but just as long lived. The comic strip, which debuted in 1929, was developed by Philip Francis Nowlan under contract with John F. Dille's National Newspaper Service. The Nowlans and the Dille's have been fighting ever since over the rights to the BUCK ROGERS trademark. Even today, more than eighty years after Buck's first adventure, the heirs of Dille and Nowlan are staking conflicting claims to the trademark. Here's a brief look at one of the issues raised by recent litigation between them in the Federal District Court for the Eastern District of Pennsylvania. A trademark is a source identifier, that is, it identifies the source of goods and services. But can a trademark itself be a good? In The Dille Family Trust vs. The Nowlan Family Trust, Plaintiff Dille asserted various claims of breach of contract, confusion, deception, and false description among others. Many of these claims arose out of Defendant's marketing scripts for use in future television series, movies, and merchandising. In response, Nowlan filed a motion to dismiss on various grounds, among them that Plaintiff failed to a identify a "good" in relation to use of the BUCK ROGERS mark in interstate commerce. Under the Lanham Act (i.e., U.S. trademark law), to state a claim for confusion, deception or false description, a plaintiff must show among other factors that defendant's "use of the mark to identify goods or services is likely to create confusion." Interestingly, the Lanham Act does not define "good." For that definition we look to the U.S. Supreme Court decision in Dastar Corp. v. Twentieth Century Fox Film Corp., in which it defined "goods" as wares, merchandise, and tangible products. Trademarks themselves are not, however, tangible goods, which, as the court in The Dille Family Trust case wrote, is consistent with their purpose of protecting consumers from confusion about the source of goods and services. The court concluded that the BUCK ROGERS scripts that Defendant allegedly marketed were certainly goods under the Supreme Court's decision but future movies or television series - because they are intangible - are not. So, there you have it. To state a claim for "confusion" under the Lanham Act, you must allege confusion of the trademark as it occurs in relationship to tangible products or services. By the way, in case you were wondering, digital products may be considered goods if, from the consumer's perspective, he or she sees a tangible product in the digital media. Can Delay be a Defense to a Patent Infringement Lawsuit? In many areas of the law, excessive delay in pursuing a right can be a defense in a later lawsuit. The defense is known as 'laches' and is based on fairness - by delaying the litigation, the person asserting the right has acquiesced in the other party's conduct. Historically, the fairness-based laches defense applies only to fairness-based remedies, like injunctions, but does not apply to claims for money damages. Consider the following example: Let's say that the owner of a patent for adult incontinence products learns of an infringer and sends the infringer a demand letter. The infringer responds that the patent is invalid based on information supplied by the infringer. The infringer does not hear from the patent owner for several years. The infringer believes the patent owner has abandoned its claim and the infringer spends substantial monies expanding its business based on that belief. The infringer is mistaken. In the meantime, the patent owner asks the USPTO to reconsider the patent based on information from the infringer. The PTO concludes that the patent is still valid. Almost seven years after the demand letter, the patent owner sues the infringer for the infringement. Is the almost seven-year delay in bringing suit a defense to patent infringement? You guessed it, these are the facts of an actual case - SCA Hygiene Products v First Quality Baby Products. In SCA Hygiene, the en banc Federal Circuit Court of Appeals, said 'yes' - delay in bringing suit is a defense, even to a suit for money damages. The SCA Hygiene case is now pending in the U.S. Supreme Court, with oral argument set for November 1, 2016. We expect the Supremes to reverse the Federal Circuit because, well, that's what the Supreme Court does to the Federal Circuit and because we believe that the Federal Circuit decision was incorrect. The Supreme Court should decide in the first quarter of 2017.